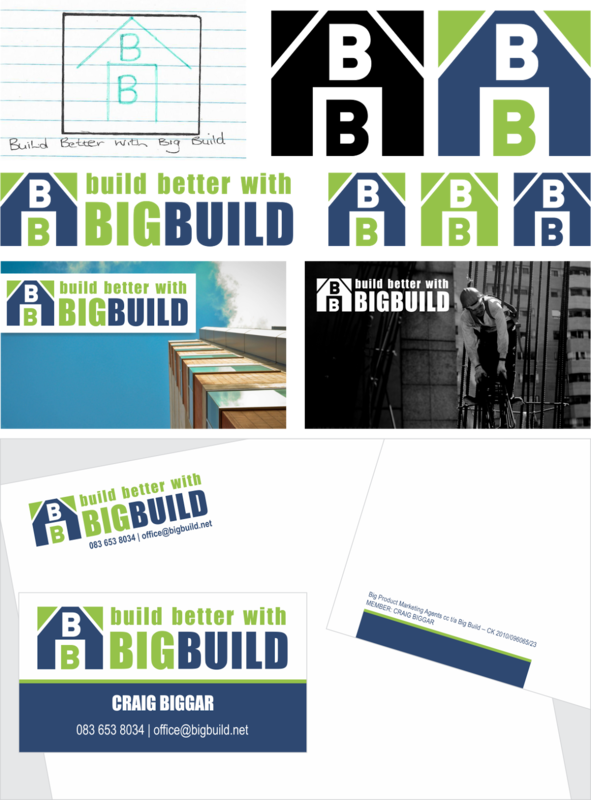 It's not often we get a client's proposed logo drawing that can actually translate to something that works. Craig from Big Build really wanted to work with a boxed roof type of design as his company specialises in roof products for the building trade. He also wanted specifically to use blue and green so he came in to our studio to choose two colours from our swatches. The final design needed to work across a number of single-colour applications including printing on bags, embossing and box stamps, and also be easy to recognise and remember. Below is what we came up with. You can see the client's drawing at the top left. We also designed a letterhead and business card for print.